Our job as search marketers is to provide the best results for our clients (both internally and externally). In order to provide the best results, we need to effectively communicate the value of everything we do. An effective communicator will be able to show the value of a search strategy/tactic to get the most out of a program for all parties included. The search team needs to work together with the rest of the marketing team to educate them on potential risks or wins during any changes in strategy. Search engine optimization should be viewed as a part of the overall marketing strategy and cannot be a standalone solution. Instead, SEO can help all areas of marketing when done correctly. With that mindset, SEO needs to be a partnership between the search marketers and clients. When people use to ask me what I do for a living, I replied that I am a SEO Analyst/Marketer. I was typically followed up by a blank stare to which I needed to explain that I made things get found online, mainly via Google and Bing. People generally understood the context of my job is, but sometimes thought it is overly complex on the execution. Rather than me showing the execution part of my job, I learned that I need to educate each person. For many years, I thought that the execution of SEO tactics was the most important part of my job. Instead, the communication and education aspects of my job are the most important. Educating people on search optimization differs based on the audience you are talking to. For example, decision makers will want different information than a developer. Most decision makers don’t care about the how, but rather the why and overall strategy. The decision makers need to hear the information that reassures them that the campaign is worthwhile. On the other hand, developers and webmasters need more information about how to execute the deliverables. Many developers understand what SEO is but still need help on understanding more in-depth tactics or technologies that impact results. It is our job as search marketers to educate everyone on the SEO aspect of online marketing. New search technologies are constantly being created and we need to stay on top of how to implement and/or advise not to implement. SEO is about guiding the ship for the rest of the team, so we need to not just focus on the SEO side of things. Rather, it is our job as search marketers to help everyone else keep their job. There are many ways you can effectively communicate with your clients whether they are internal or external. There are four main areas to effectively communicate with your clients. Key stakeholders and decision makers typically do not want to see vanity metrics about keyword rank, sessions, or page views. Instead, show key stakeholders conversions with money associated to each goal. It is more impactful to show your client that your search marketing efforts brought in an additional $50,000 than 20,000 sessions. On top of showing results with money tied to it, prioritize the actions you deliver on so that they make the most sense for the client. A developer should devote their resources on the items that will hold the highest return on investment. The best part of showing results with money tied to it is that those type of results are actionable. Actionable results will help you build off of your previous successes into new campaign ideas and efforts. Also be transparent about what you are seeing with the results. Educate the client when discussing goals and KPIs for websites to get the most value out of the campaign. As mentioned earlier, don’t be too focused on the SEO side of things. Analyze the whole marketing strategy to find areas that SEO tactics can help enhance the visibility. 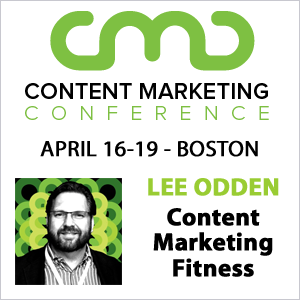 Search marketers also need to understand how much effort and resources are needed to implement recommendations. Websites will always need maintenance, so the list of “actions” will always be there. Provide recommendations to clients or development teams that will be the easiest for them to implement. You can become more effective as a search marketer by understanding the whole marketing strategy. Always ask your clients more questions to understand any potential changes. Asking multiple questions when communicating with your client will provided additional information that could come into use at a later time. There has been multiple situations of when a client mentions that they changed the design of a priority page. Design changes may impact the organic visibility for multiple pages so by asking more questions we were able to educate the client on making the change. There are multiple times that small information and marketing updates are not communicated to the whole team. Ask questions constantly to know as much as possible about what is going on with the company. After all, SEO needs to be a partnership with the whole marketing team. 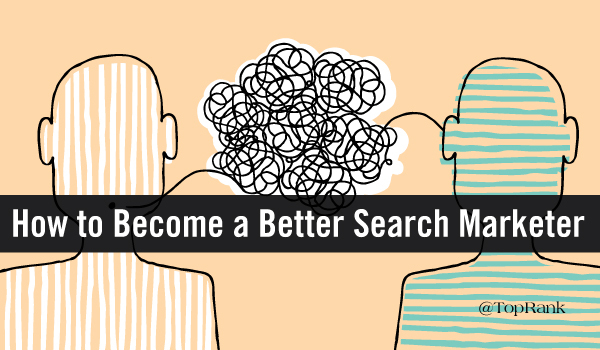 In order to be a more effective search marketer, you need to be an effective communicator. Communicating the benefit of the search campaign is priority number one. Communicate in a way that is actionable and easy to understand.Stay on top of new technologies and updates to the search industry to educate your clients.